Regional cooperation and integration have emerged as key issues for East Asia following the financial crisis. This book explores these issues, and examines the degree to which a new paradigm is emerging. 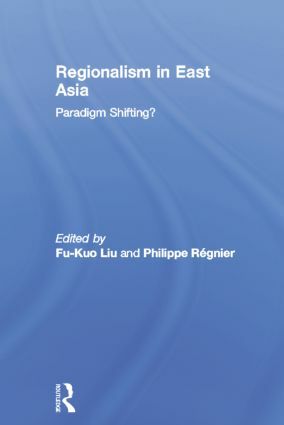 It reviews the evolution of the concepts and practices of regionalism in East Asia, and considers the factors which are shaping new patterns of regional co-operation and integration. It includes discussions of historical developments, economic co-operation, socio-political factors, and defence and security. It considers the role of those states, including China and Japan, which have distinctive approaches to international relations, and assesses the role of regional international bodies such as ASEAN.